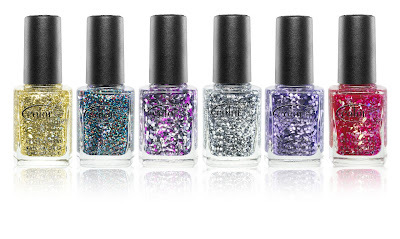 Glitter and hex and sparkly...all at once? I'm in!!! I like "Take the Stage" the best. I haven't seen the combo. of these two yet. *misses fainting couch and hits head on floor* I need all of these. I am drawn toward "Fame and Fortune" and "Backstage Pass". Nice! I can't wait to see what these look like on nails. I can't find them on the website!! 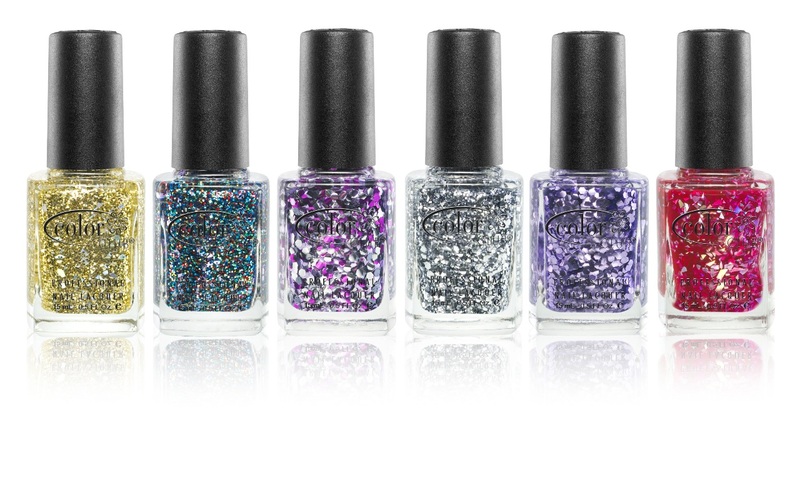 I've seen the swatches, and the "glitter" is SO big in these... Ugh. I only want Wish Upon a Rockstar (because the glitter is normal sized) and Fame & Fortune. Disappointed! I would definitely have to have Fame & Fortune! It's mesmerizing! I know I'll be buying this whole collection!